If you’re finding it difficult to tell people about your mesothelioma diagnosis, you’re not alone. Receiving a diagnosis is an emotional roller coaster, and finding the right time to tell friends and family is not an easy task. But recognizing an opportunity to tell someone can make all the difference. If you’ve elected to undergo treatment, a good time to tell someone might be when they notice physical changes. For example, chemotherapy can cause hair loss and vomiting. If someone notices these side effects, it may be a good time to let them know about your treatment and mesothelioma diagnosis. I know the feeling you have, I’ve had it. I know the uncertainty you have, I’ve dealt with it. I know the fear you have, I’ve experienced it. A lot of people might have a hard time talking about your diagnosis. It isn’t because they’re insensitive, but they may just be surprised or know a loved one who has battled cancer. When you decide to tell someone, being emotionally prepared will help and it’s important to stay positive. It’s important to have the conversation but only when you’re ready. Make sure to let others know your reason for telling them and be specific about how you’re handling the diagnosis. If you’re not ready to talk about the negative side of things, make sure to clarify that with them. You might not be able to control their reaction, but you can give them an understanding of what you’re willing to talk about. If you’ve had a negative experience after telling someone in the past, don’t be discouraged in telling your story to others. News of a cancer diagnosis will travel fast once you share the news with a few people. If you wish to keep your cancer diagnosis to yourself or just within the family, tell those who do know about it what you’re expectations are about sharing the news, or not sharing it. If you’re not prepared to discuss your situation when someone else brings it up, it’s OK to say you’d like to postpone the conversation until a later date. Close family and friends will likely handle the news differently than co-workers or new people you meet. If you know someone may be more emotional and might not take the news well, try your best to anticipate their reaction. It’s not easy, but gauge which way you think is best to tell others based on your relationship with them. It’s important to feel comfortable with the people you tell. Although it may be difficult to explain your diagnosis, you might be surprised by the feeling of comfort you experience after revealing personal information. Our Survivor Insight Series provides those who have been diagnosed with firsthand experiences. 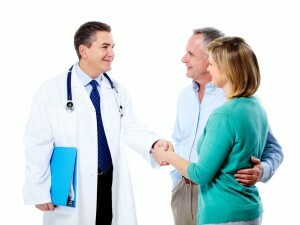 It provides newly diagnosed mesothelioma patients with a way to share their knowledge with the community. Families, friends, supporters, and survivors can gain an understanding of your approach to treatment and will appreciate you sharing your story. You can get in touch with the community through our Facebook, Twitter, and Google+ pages. Mesothelioma fighters and families come to voice their support here. Also, there are frequent updates with the latest news in mesothelioma research and blog posts.